Is dad always losing his phone and keys? It’s a common problem when you don’t have a place to put them… and this craft can put a stop to it! 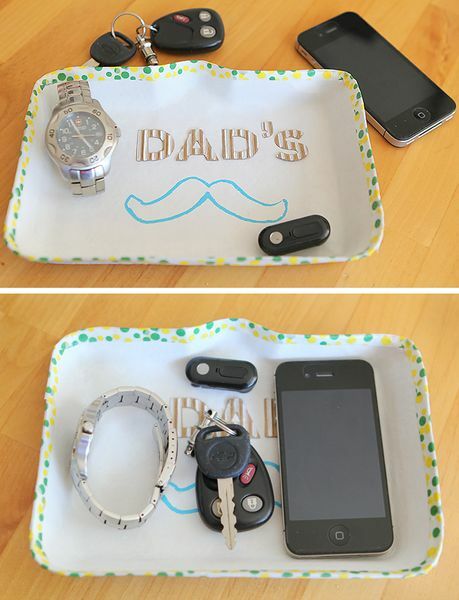 Even if your dad doesn’t have a mustache, he can still use this tray – in fact, the mustache is totally optional! Decorate the tray with all of dad’s favorite things and the ordinarily mundane task of emptying his pockets turns into a… well, a slightly more exciting event!